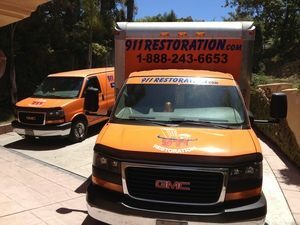 When it comes to saving homes and business locations from the excesses of a ceiling leak, water heater malfunction, or any type of flooding situation, there is no one more capable and adept for the work than 911 Restoration Atlanta and our water damage Woodstock team of experts. Taking on the challenges presented during a severe storm induced water damage episode is not easy and this is why our team of experts are fully trained, licensed, insured and bonded to handle anything. Our crew is ready for anything because our techs are IICRC certified. 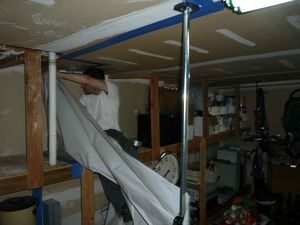 We know that there is no form of water intrusion that we can’t take on for people and save the day. Our team of water damage professionals out of Woodstock understand that to provide people with the highest quality restoration experience that they need to get started quickly and this is why they can be at the scene of an event within 45 minutes. We are available 24/7/365 so that no matter what form of damage the water induces, or whenever it happens to the good people of the Woodstock area, that we are here for them to take care of it. If your home is already amid a ceiling leak crisis and you want the best in the business to help handle it for you, then contact the water damage Woodstock experts with 911 Restoration Atlanta today! When it comes to taking on water and extracting it properly, our crew out of Woodstock have seen it all, and know what to do no matter what the situation, but they are also specialists at preventing these situations from happening in the first place too. We get calls at all hours of the day from people that are trying to find out what to do from a DIY perspective as well as how to prevent damages before major storms come of the like. If your home is flooding at present, then don’t wait another minute for it to grow a mold colony too. 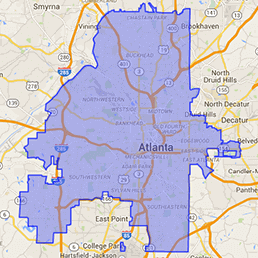 Contact our water damage Woodstock crew with 911 Restoration Atlanta today and get all the help you need! 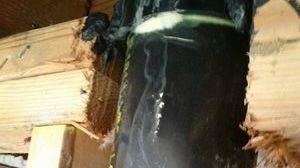 Our water damage team out of Woodstock have been providing people with solutions to the challenges of water intrusion for long enough to know all of the different ways it presents itself, and one of the most common that he gets called out on is for a ruptured hose on the back of a clothes washer. We had a ruptured hose call just the other day, and by the time they spotted it, water was all over the first floor, filled the laundry cubby and then out into the hallway. While this was just category two water, it still posed the chance of growing mold, so we did a total extraction of the area. When a situation gets soaked enough such as this one that requires our best water damage technicians to do the full nine yards and extract not only the water, but all of the materials that it came into contact with as well. This meant pulling out all of the soaked drywall in the room and then doing a total dry-out for the homeowner. It was a big job that started from a small little hose leak and turned into a sizeable rupture. People underestimate the amount of water their washer can put out, and the lifespan of the hoses too. So check your fittings and hoses regularly to avoid this. If your home is flooded from category two water out of a washing machine, then contact the water damage Woodstock team with 911 Restoration Atlanta for help with everything today!